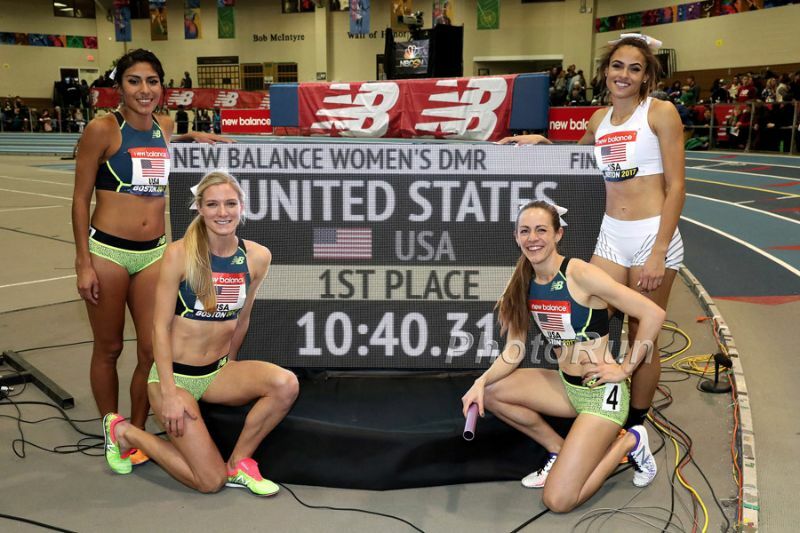 BOSTON — Complete results from the 2017 New Balance Indoor Grand Prix Boston MA, USA, on Saturday, January 28. 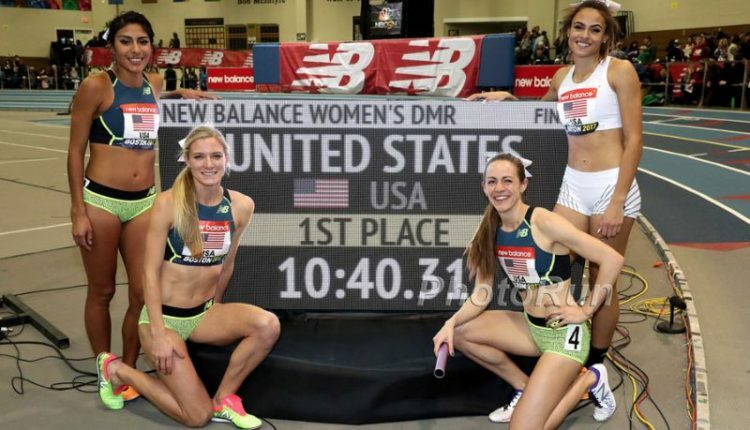 There were several highlights at the meet with an American selected team of Emma Coburn, Sydney McLaughlin, Brenda Martinez and Jenny Simpson clocked a time of 10:40.31 to set a new world-best, improving the old mark of 10:42.57, set in 2015 by another American team. Among the other highlighted winners were Noah Lyles in the men’s 300m, Matthew Centrowitz in the mile, Paul Chelimo in the 3000m, as well as Kenya’s Hellen Obiri in the women’s 3000m and Patrícia Mamona in the women’s Triple Jump.